Jack St. Ivany, a member of the Los Angeles Jr. Kings’ Pacific District-champion 16U AAA Major team last season, has committed to attend and play his NCAA Division I hockey at Yale University following his junior career. St. Ivany, a 1999-born defenseman, connected for three goals for 13 points in 31 Tier I Elite League games in 2015-16. This season, St. Ivany will play for the Sioux Falls Stampede – the team that selected the Manhattan Beach native in Phase II of this year’s United States Hockey League Draft (fifth round, 73rd overall). 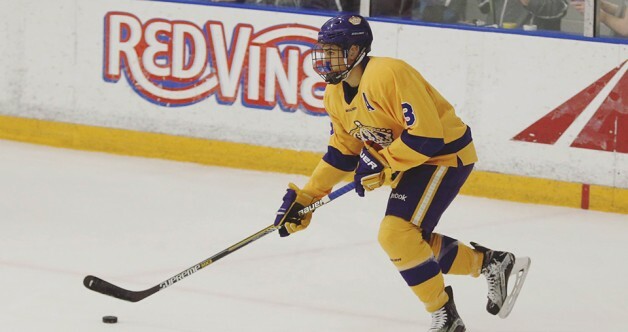 “The Jr. Kings have helped a lot with my development, and playing in the Tier I Elite League helped expose me to so many D-I coaches,” St. Ivany added. An Ivy League school, Yale competes in the Eastern Collegiate Athletic Conference (ECAC). Last season, the Keith Allain-coached Bulldogs forged a 19-9-4 overall record (14-5-3 in ECAC play) and qualified for the NCAA Tournament.